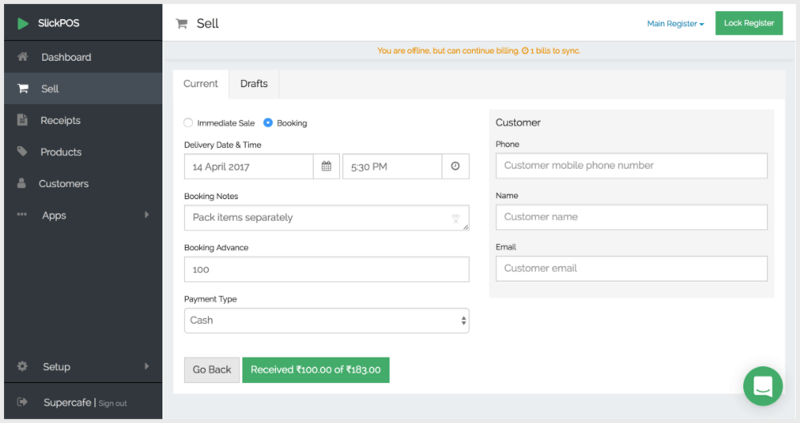 Booking, Credit Sales, SMS Receipts and more! 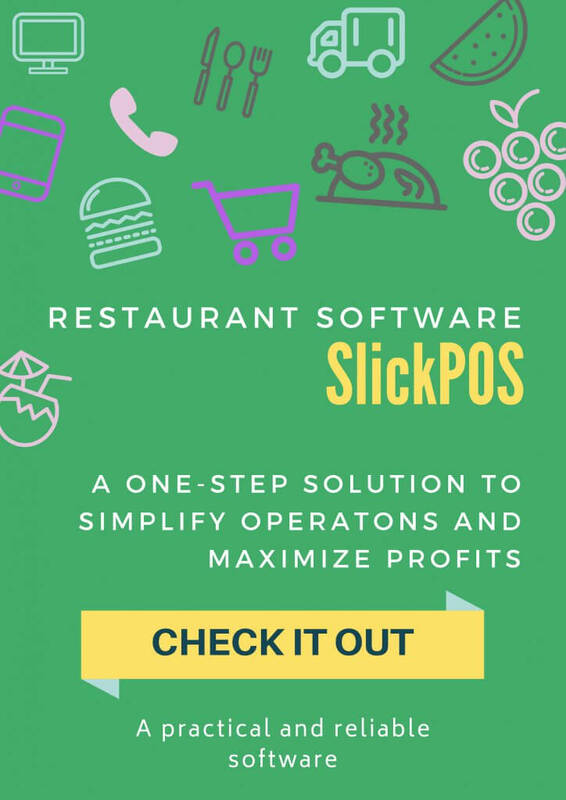 It has been a month since we launched SlickPOS, a free cloud based Point of Sale software for small and medium sized retail stores. Like we promised, our development team has been working flat out to roll out features that help your business grow. Here are the features we have rolled out recently. Now you can save a bill halfway through and start a new bill. We have added a new Drafts tab to the Sell screen where the saved bills can be viewed and re-opened. This speeds up your billing process even when a customer put you on hold. Certain businesses sell made to order products which are not fulfilled at the time of taking the order. Similar case for door delivery too. With a Booking sale, you can capture a delivery date and time along with customer details. Upon delivery, the order is fulfilled. Many businesses sell goods and services but take payment at a later point of time. With the new Credit Sales payment type, you can mark your bill as unpaid and keep track of bills pending payment. Now we have two kinds of tax policies: First, tax policy on the product; Second, tax policy on the sub-total. The tax on sub-total is useful in cases like India where you might have a Service Tax on a percentage of the sub-total. With this feature, SlickPOS now supports multiple taxes. We have added an export feature to the Receipts screen. Now you can choose a timeframe and get the reports emailed to your inbox. Our design philosophy is such that you should see only what you need. In line with that, we will be building optional functionalities as apps around the POS. Thus users can install apps that are applicable for them, while keeping the user interface as simple as it has always been. Customers also would be able to customize the POS by building their own apps. Do get in touch with us if you are interested to know more about upcoming apps or if you would like to build your own custom app. SMS Receipts is an app that sends a purchase confirmation SMS to your customers. This is also great if you don’t want to spend on thermal printers, you can just turn off receipt printing in register setup and install the SMS Receipts app. Do checkout the new features and let us know what you think, I promise that your feedback will be valued and definitely actioned upon.